All auction prices listed are for general reader interest only, and are shown in this order: $ (USD)/£ (GBP). All prices listed are Hammer Price (the winning bid amount) unless noted as Premium, indicating that the figure quoted includes the Buyer’s Premium of an additional percentage charged by the auction house, as well as taxes. On May 9, 2013, James Tissot’s newly identified Portrait of Clotilde Briatte, Comtesse Pillet-Will (pastel on linen, 35 3/4 by 63 1/8 in./91 by 160.5 cm.) sold for $185,000 (Premium) at Sotheby’s New York. James Tissot (1836 – 1902) was a multi-millionaire by the time he built his sumptuous villa on the avenue de l’Impératrice [now avenue Foch] in Paris in 1867; his patrons included aristocrats such as René de Cassagne de Beaufort, Marquis de Miramon (1835-1882), the head of an ancient family that could trace its ancestry back to the eleventh century and owed its title to Louis XIV. At that time, Tissot’s friends Édouard Manet (1832 – 1883), Edgar Degas (1834 – 1917) and James Abbott McNeill Whistler (1834 – 1903) struggled to be taken seriously and to sell their work. In 1865, Manet sold a still life of two flowers in a vase and thought the sale might bring him luck. Degas’ career only began to take off in mid-February 1869, when he and his brother, Achille, traveled to Brussels. One of the king’s ministers there bought one of Degas’ paintings, and when his work was exhibited at one of the most famous galleries in Europe, he sold two more. 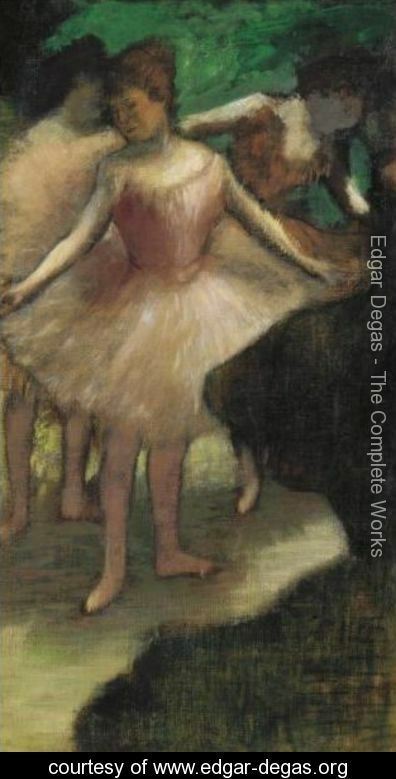 Then a well-known picture dealer offered Degas a contract for 12,000 francs a year. Whistler was fortunate that, in the mid-1860s, D.G. Rossetti introduced him to Frederick Richards Leyland (1832 – 1892), a shipping magnate from Liverpool; Leyland would become Whistler’s first important patron by the early 1870s. Now, even prints and pastels by Whistler sell for as much or more than many oil paintings by Tissot. A pastel by Whistler sold for a record $ 650,500/£ 403,010 (Premium) at Doyle New York on May 9, 2012: White and Pink (The Palace) depicts the façade of a Venetian palazzo on the Grand Canal. It was sold by a descendant of the patron who bought it out of Whistler’s studio in 1881 – prominent American collector Louisine Elder (she married sugar refining baron Henry O. Havemeyer in 1883). Whistler’s oil painting, Harmony in grey, Chelsea in ice (1864), sold for $2,600,000/£ 1,768,106 at Christie’s, New York in 2000 [and was given in 2007 to the Colby College Museum of Art, Maine, by Peter and Paula Lunder]. Variations in violet and green (1871) sold at Sotheby’s, New York in 1987 for $ 2,350,000/£ 1,445,709 [and since 1995 has been in the collection of the Musée d’Orsay, Paris]. Degas’ dancers in pastel – and his bronzes – are more sought-after than his oils. His Danseuse au repos (c. 1879 ) sold at Sotheby’s, New York in 2008 for $ 37,042,500/£ 23,366,239 (Premium). 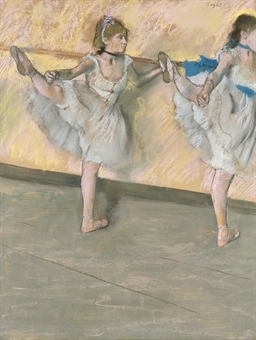 Danseuses à la barre (c. 1880) sold at Christie’s, London in 2008 for $ 26,567,499/£ 13,481,250 (Premium). Degas’ oil painting, Trois Danseuses en Rose/Three Dancers in Pink (c. 1886) sold at Sotheby’s, New York in 2008 for $ 8,441,000/£ 4,323,839 (Premium) [it had sold at Sotheby’s, London in 1989 for $3,280,200/£ 2,100,000.] Les chevaux de courses, sortie du pesage (c. 1871-72) sold at Christie’s, London in 1991 for $ 9,033,750/£ 5,500,000. Les Blanchisseuses, Les Repasseuses sold at Christie’s, London in 1987 for $ 12,416,120/£ 6,800,000. Manet’s oil paintings not in public collections are prized by private collectors and art dealers. Courses au Bois de Boulogne (1872) sold at Sotheby’s, New York in 2004 for $23,500,000/£ 13,105,794. 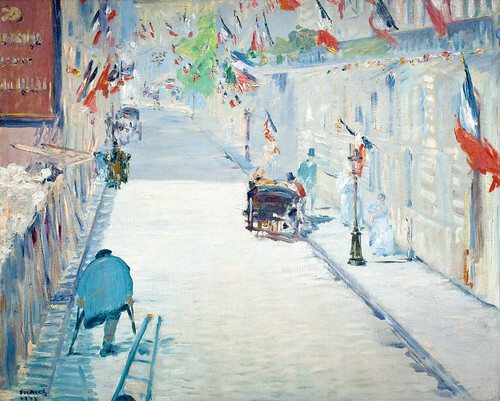 Manet sold La rue Mosnier aux drapeaux (1878) in 1879 to a Parisian collector for about $100, and it brought about $13,000 at a Paris auction in 1913. In 1958, philanthropist Paul Mellon bought it at an auction of Berlin financier Jakob Goldschmidt’s collection for $316,000, a record at that time. In 1989, the painting was purchased by the J. Paul Getty Museum in Malibu, CA, for $ 24,000,000/£ 15,175,466 – a record high for a Manet painting – at Christie’s New York. 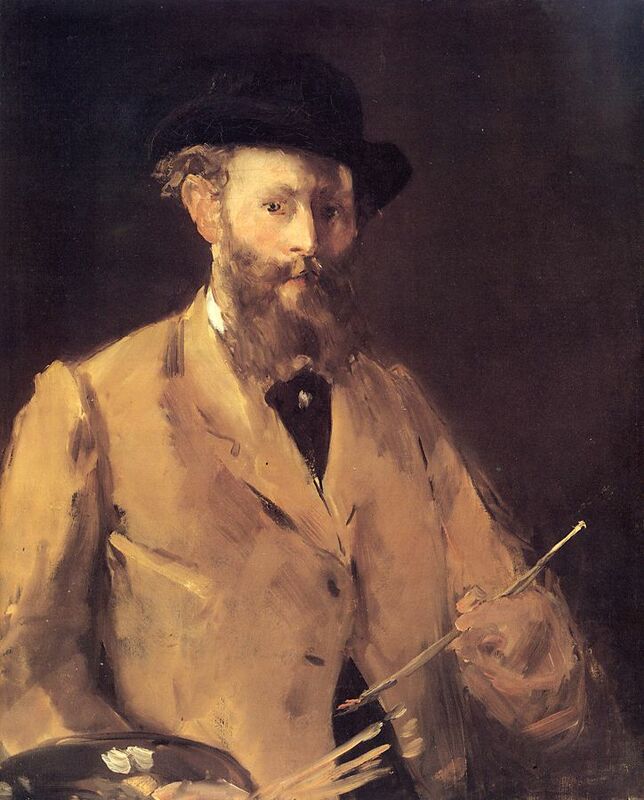 Portrait de Manet par lui-même (Manet à la palette)/ Self Portrait with a Palette (1878) is one of only two self-portraits Manet painted (and the only one in a private collection). This self-portrait was once owned by Manet’s wife, Suzanne, and later by the French margarine magnate Auguste Pellerin. It was purchased in 1958 at Sotheby’s, London, for £65,000 by John & Frances L. Loeb (New York) from the collection of Jakob Goldschmidt. In 1997, it was sold at Christie’s New York, to U.S. hedge fund tycoon Stephen A. Wynn (Las Vegas) for $ 17,000,000/£ 10,469,914. Thirteen years later, in 2010, it was purchased by New York dealer Franck Giraud for $ 33,228,758/£ 22,441,250 (Premium) at Sotheby’s, London. Another measure of the value of Manet’s paintings occurred in 2012, when the Ashmolean Museum in Oxford raised £7.83 million (about $12.5 million) to prevent the French painter’s Portrait of Mademoiselle Claus (1868) from leaving the U.K. The unfinished painting of Suzanne Manet’s closest friend, Fanny Claus (1846 – 1877) was once in the collection of John Singer Sargent. It was sold by Sargent’s heirs to a foreign buyer in 2011 for £28.35 million. The British government enacted a temporary export bar on the painting until August 7, 2012 to give the Ashmolean Museum time to acquire it at 27% of its market value. The eight-month fund-raising campaign raised £5.9 million from the British government’s Heritage Lottery Fund; £ 850,000 from The Art Fund, a British cultural charity; and £1,080,000 million from trusts, foundations, and 1,048 individual donors whose gifts ranged from £ 1.50 to £ 10,000. Update: On November 5, 2014, Manet’s Le Printemps (1881) was sold at Christie’s, New York for $ 65,125,000/£ 40,815,367 (Premium) to the J. Paul Getty Museum in Los Angeles. 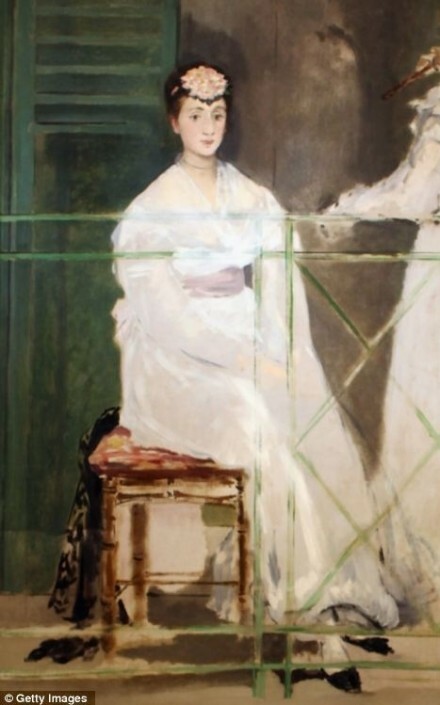 Depicting Parisian actress Jeanne Demarsy, it was a critical and popular success at the Paris Salon of 1882, and the last of Manet’s Salon paintings still in private hands. It was acquired from the artist on January 2, 1883 by French journalist and politician Antonin Proust 1832 – 1905), and by 1902 was owned by opera baritone, composer and art collector Jean-Baptiste Faure 1830 – 1914. In mid-March, 1907, Le Printemps was acquired by Galerie Durand-Ruel et Cie., Paris, and then by Durand-Ruel Galleries, New York in late November 1909. It was immediately purchased by American businessman and Civil War veteran Colonel Oliver H. Payne, New York (1839 – 1917), once one of the wealthiest men in the country, and it was passed down within the same family for over a hundred years. This sale set a world record for Manet’s work. By contrast, most of Tissot’s work now sells for a fraction of the value of paintings by the friends he vastly out-earned in his lifetime. The record price for a Tissot oil painting was set by Le Banc de jardin/The Garden Bench (c. 1882). 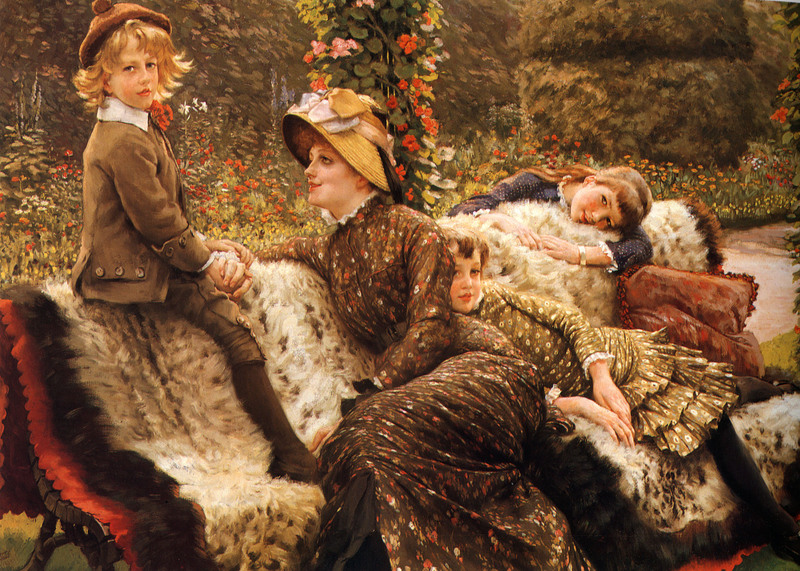 This was a favorite image of Tissot’s, depicting his happy few years with his mistress and muse, Kathleen Newton (1854–1882), and her children in his garden; he kept it all his life. It set an auction price record in 1983, when the American oil millionaire Fred Koch paid $ 803,660/£ 520,000 for it at Christie’s, London. Koch intended to establish a Victorian picture gallery in Regent’s Park but was unable to secure planning permission and dispersed his collection. 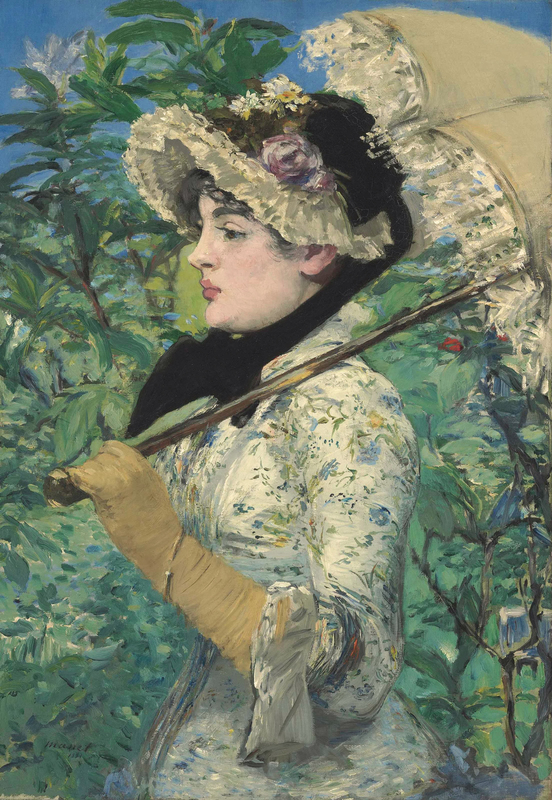 In 1994, Le Banc de jardin set another record for a Victorian picture – as well as a record to date for a Tissot painting – when it sold for $ 4,800,000/£ 3,035,093 at Sotheby’s, New York. Tissot’s October (1878) [presumably a copy of Tissot’s Octobre (1877) at the Musée des Beaux-Arts, Montréal, gift of Lord Strathcona and family, 1927] sold at Christie’s, London for $ 419/£ 150 in 1958. October went on to set the second-highest price on record for an oil painting by Tissot when it was sold at Sotheby’s, New York in 1995 for $ 2,800,000/£ 1,775,185. Morisot, Après le déjeuner (1881), $10,931,217/£ 6,985,250 (Premium) (sold February 6, 2013, Christie’s London). This sale set an auction record for a work sold by a female artist. © 2013 Lucy Paquette. All rights reserved. The articles published on this blog are copyrighted by Lucy Paquette. An article or any portion of it may not be reproduced in any medium or transmitted in any form, electronic or mechanical, without the author’s permission. You are welcome to cite or quote from an article provided you give full acknowledgement to the author. This entry was posted in Art blog, Art History, Impressionists and tagged Édouard Manet, Berthe Morisot, Edgar Degas, James Abbott McNeill Whistler, James Tissot on May 16, 2013 by Lucy Paquette, author of The Hammock: A novel based on the true story of French painter James Tissot. In the history of art, where do we stand and where do we start? the international society for the study of the lives and art of the Pre-Raphaelite Brotherhood. Did I misplace my pince-nez again? Light reading on the 19th century.